What is the best series of games to enjoy over the holidays? 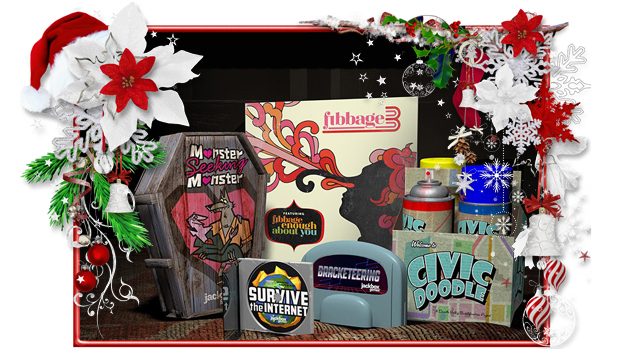 Jackbox Party Pack! Why? Because everyone can play them! No matter how familiar you are or aren’t with the line, you can jump in and enjoy yourself. Grab your phones, turn on The Jackbox Party Pack 4, and play a collection of amazing games that are fun both for people that are there and, if you happen to be streaming, those who couldn’t be there in-person too. There are five games in The Jackbox Party Pack 4. Fibbage 3 has you trying to lie about answers to questions and get people to believe it. (It also includes Fibbage: Enough About You, where the questions are all about the players.) Survive the Internet has you trying to make people’s “online” comments make them look weird. Monster Seeking Monster is a dating game where you try to hook up with fellow monsters played by other players. Bracketeering has you betting on argument topics. Finally, Civic Doodle has you drawing on other people’s drawings in an attempt to make the best town murals. They’re all fun, sometimes even quick, games!